THE break-away football association, the Football Federation of Papua New Guinea (FFPNG) will kick off their National Premier League tomorrow in Port Moresby and Lae. The FFPNG season was launched last night in Port Moresby, with the backing from Mineral Resources Development Company, Lae Biscuit and other minor sponsors. The Northern Conference will see for first-timers Markham FC compete after a decade in the doldrums while Bulolo will make their re-entry after spending a season with the PNGFA’s National Soccer League four seasons ago. 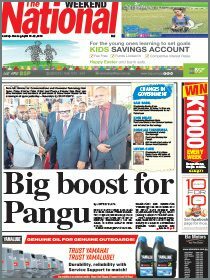 The two big names in the Lae City, Lahi United and Morobe United, are expected to create fireworks. In the Southern leg of the NPL challenge, an interesting match is on the cards with Hekari United taking on PKA Rapatona. Both teams have been in training after the deferral of the NSL season and then the fall-out with PNGFA, and have sided with the new football federation. Hekari, with all its key players intact, would be out to see if Rapatona can match them. 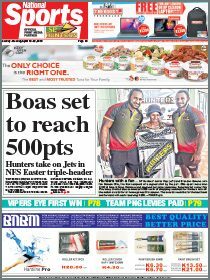 With Patrick Aisa and Darren Steven shown the door by PNGFA for taking part in the trial matches, this will add some fireworks for Rapatona, who should give the former PNG national club champions a good challenge. Admiralty FC, all the way from Manus, will be based in Port Moresby to try their luck in the NPL. Amoana, with the backing of the Gigira Laitepo, will once again fly the flag of Central, along with sister team, Papaka FC. Under the watchful eyes of former PNG goalkeeper David Aua, Papaka FC will be the team to watch in the Southern Conference. Led by former Hekari, Gelle Hills and PNG striker, Tau Winnie, Papaka will be another team that will go head-to-head for a challenge against Hekari in the National Premier League.